I promised a post on Red Wigglers vs Earthworms in my Vermicomposting post and here it is! Vermicomposting is composting using worms and there is definitely a difference between red wigglers vs earthworms in vermicomposting. red wigglers vs earthworms. Learn the difference so you can better use them in compost and your garden! When I lived in the midwest and heard “worm” the first thing that came to mind was the large earthworms that you find on the driveways and in the streets after a large rainstorm or the worms that you use in fishing. I never really gave red wigglers vs earthworms a though. When I began vermicomposting and gardening I learned that the types of worms you find after a rainstorm are usually dew worms or nightcrawlers. You can sometimes find red wiggler worms in bait shops (although those are usually nightcrawlers since nightcrawlers are larger and a larger size makes a better fishing worm). 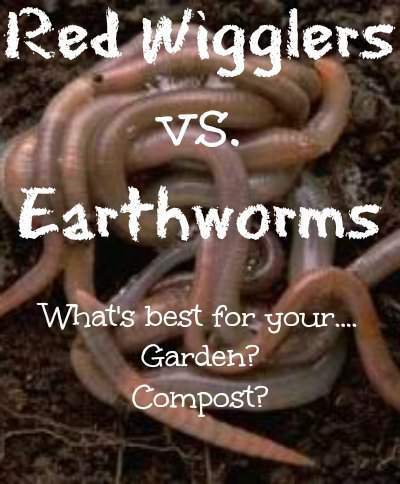 Here are the basic differences between red wigglers vs earthworms (and how knowing these differences can help you in both your garden and compost). Unfortunately my post link was not working for last weeks hop so I do not know the number submitted. I am going to feature the post I did last week since you could not get to her link. Each host features a different post each week (there are six of us) so you have a good chance at getting a feature. 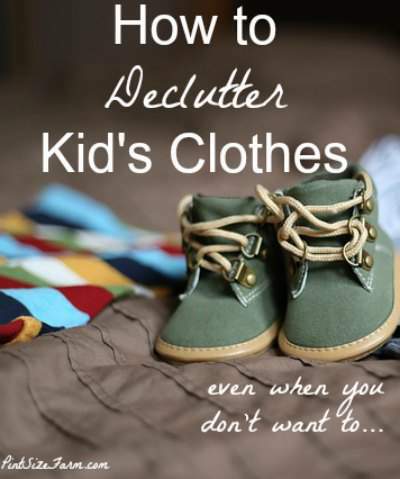 Declutter Kid’s Clothes: How Much? How To? When trying to figure out how to declutter kid's clothes the big question that always comes up is… just how much do they need? Never fret, the decluttering challenge has you covered! Here is how to figure out how much your child needs when it is time for you to declutter kid's clothes. 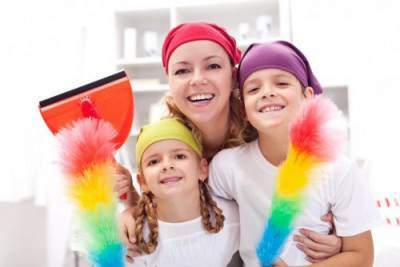 Stop the Laundry madness and learn to declutter kid's clothes! Closets are one of the most (if not the gold winner) cluttered areas of my home. Now, in the case of my own closet that is because I throw random things in it figuring I will find a place later… oops. That “place later” tends to be the trash can or giveaway box six months later when it is time to declutter that room. In the case of my kid's closets… it is clothes and toys. But, every six months at least, I get it back under control and here is how. Sometimes leaving the homestead is tough. When I planned my chicken coop I added some vacation ready coop features, but when that is not enough it is time to think outside the box. 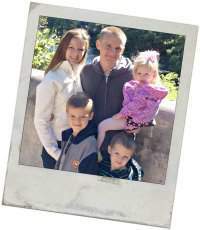 These backyard vacation ideas can be a lot of fun for a family (especially the kids) and you can plan one, of course, in your own backyard. 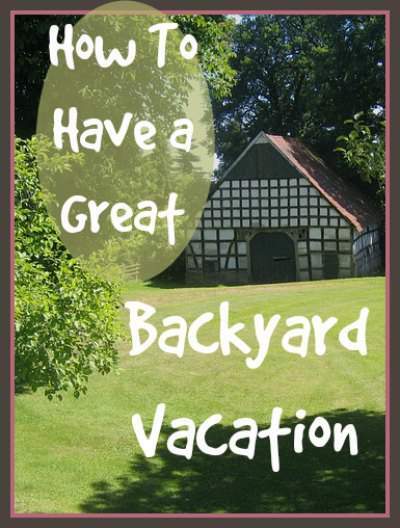 A Backyard Vacation can be fun and frugal! Spring break is coming up for many people and vacation is on our mind! These backyard vacation ideas are fun for the kids, frugal for the family, and does not cause stress if you have a busy homestead. Here are some tips for having a great backyard vacation. Building your own ideal backyard chicken coop seems to require a lot of hard work when in fact there are already ready-made chicken coops for your feathery pets. Though there’s nothing wrong with purchasing ready-made ones, you could add a personal touch if you would make your own inside your backyard. 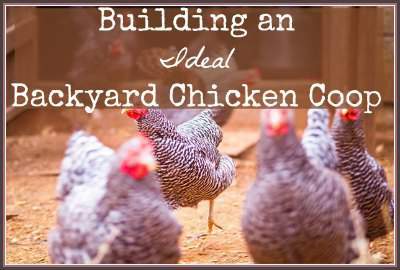 Use these tips to build an ideal backyard chicken coop! need to build an ideal backyard chicken coop if you employ the right techniques. To easily accomplish your goal, here are a few tips to erect the most ideal chicken coop for your pets. 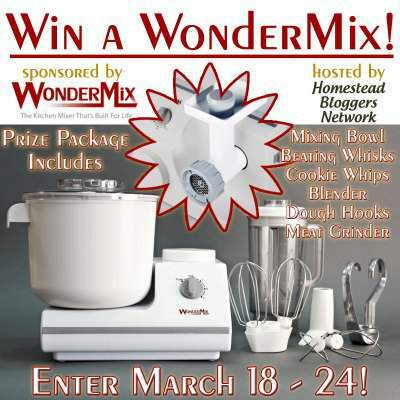 Now is your chance to win the WonderMix Mixer and meat grinder attachment. WonderMix is the company that makes one of the most popular grain mills. It is a lot cheaper to start your own seeds using organic seed starting supplies rather than buying organic plants later in the season. You do not need a huge seed starting setup to start your own plants. A small tabletop will work. You also do not need to run up your electric bill (although a little extra light will help your plants get a strong start). Since my post on GMO vs. Heirloom plants is so popular I know organic is the way many people want to go. All you need to do is focus on starting strong plants. Strong plants fight off disease more easily. 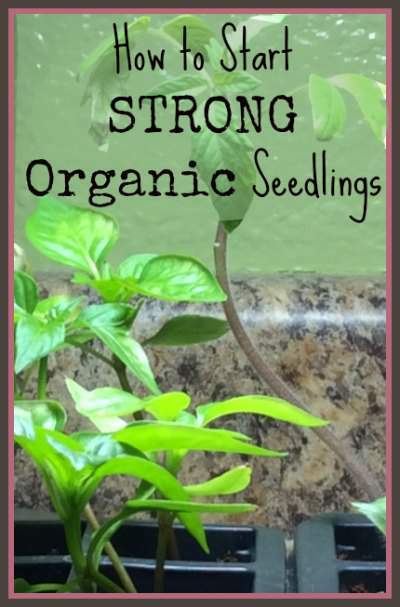 Here is how I start seeds using organic seed starting supplies. Organic Seed Starting supplies to start Strong seedlings!